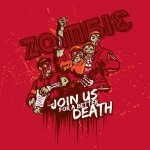 Ever feel like a friend or a loved one is a mindless slave to Apple, joining their undead army for a march on open computing standards and a free, boundaryless Internet? Or maybe that’s you? 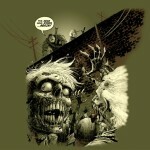 Well, here’s your shirt! 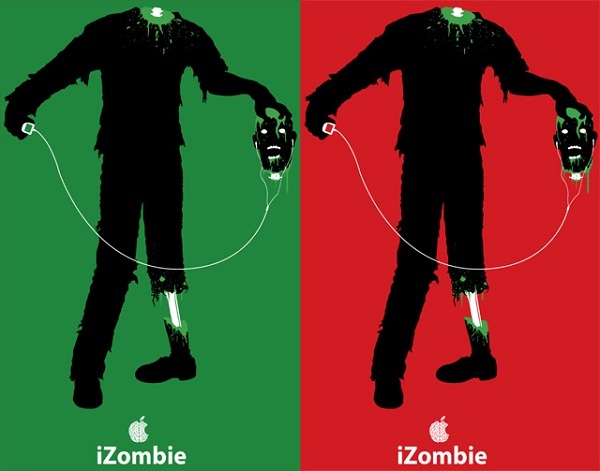 Anti-Apple sentiment aside, it’s also a decent riff on a ubiquitous advertising campaign and it has a zombie carrying his own head, something we can all appreciate. 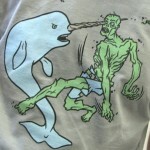 If you want it, you’ll have to act fast: it is one of Teefury‘s shirts-of-the-day and today is that day. Your options are few: Colorwise, ladies get the red one, gents get the green. At time of posting you have just about seven and a half hours to pull the trigger. It’s only $9 and I have been very happy with all my Teefury shirts quality-wise, if that helps at all.Â Me, I’m kind of on the fence, myself. I don’t love the color and while the design is cool, it doesn’t blow me away. What do you all think? Should I buy one? 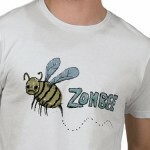 It’s a cool shirt, but my zombie apparel budget is low as is my wife’s tolerance for zombie paraphenelia. 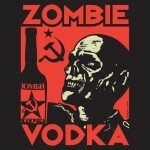 I also like the red better than the green.